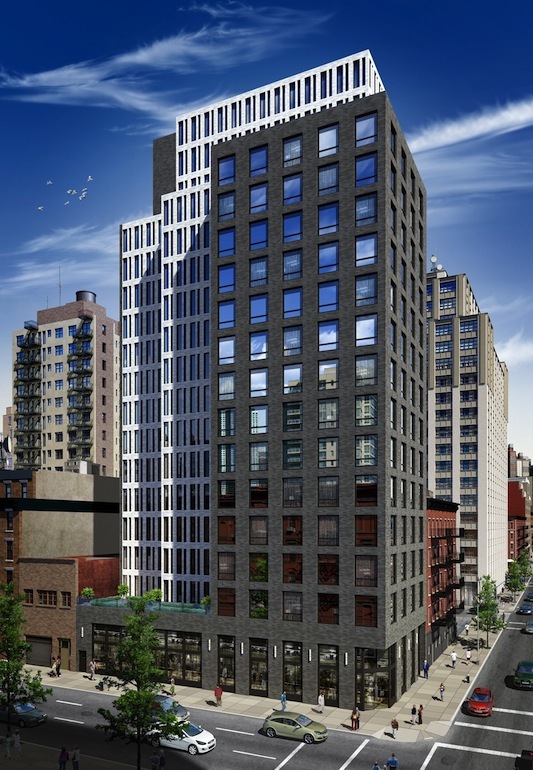 An 18-story hotel is plopping itself at 444 10th Avenue in Midtown West. Located between West 34th and 35th streets, the 151-room hotel will be designed by Ariel Aufgang, according to the plan exam application filed October 30th. The 64,238-square-foot project will have a restaurant on the ground floor. The corner lot near the Javits Center is currently being used as parking space. The design of the building was “inspired by the varied character of this still developing part of the city,” according to the site for Aufgang Architects. Behind the geometric front plane of the facade, slim windows will peek out at the skyline. The completion date is December 2015.